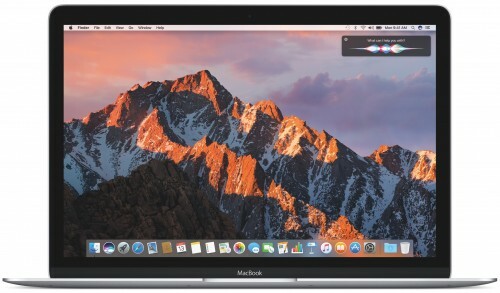 Along with seeding the first iOS 10.2 beta to developers, Apple on Wednesday released the initial pre-release version of macOS Sierra 10.12.3. The build number of the latest beta is 16D12b. 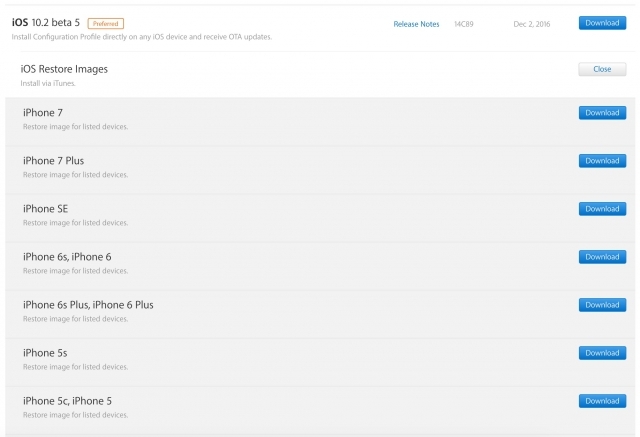 According to Apple, it contains minor fixes and enhancements. 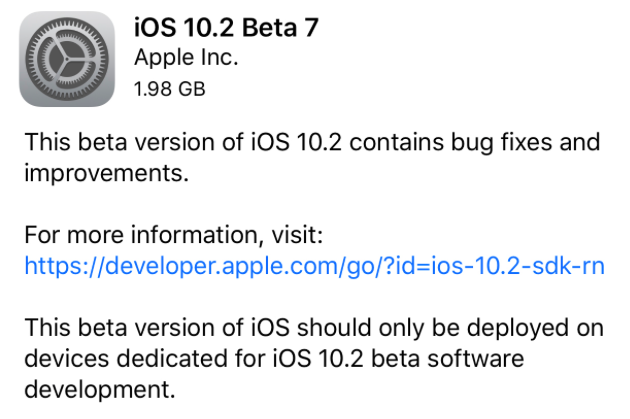 Apple has released the first beta of iOS 10.2.1 to developers for testing. 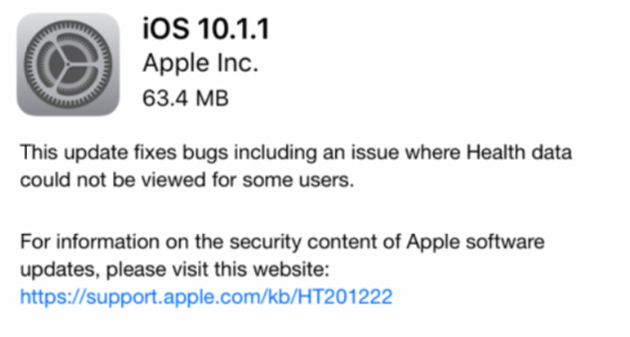 The update contains minor security, stability, and performance improvements. So far, no new features of design tweaks have been found, but that’s normal for the initial beta. 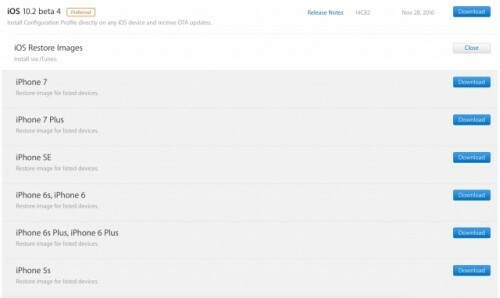 iOS 10.2.1 has a build number 14D10. 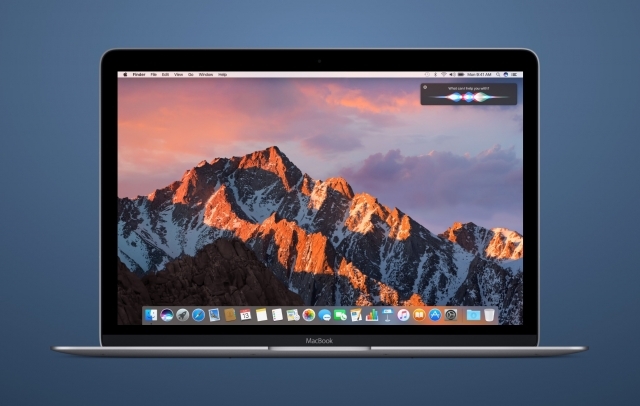 Apple has released a new beta of macOS Sierra 10.12.2 to developers for testing purposes. The latest beta contains a number of security, stability, and performance improvements and has a build number 16C63a. Apple has released iOS 10.2 beta 5 to developers for testing purposes. The latest update has a build number 14C89 and features a number of bug fixes and improvements, mostly for the new TV app that should replace the Videos app. 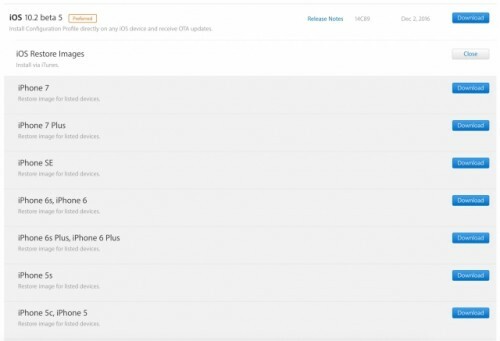 Apple has also added some new wallpapers to the latest version of firmware. It appears there are no new features in this update. 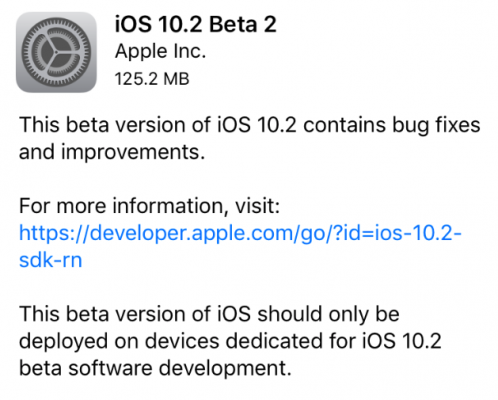 Apple has released the fourth beta of iOS 10.2 to developers for testing. The update contains a number of bug fixes for the new TV app as well as stability, security, and performance enhancements. The build number of the latest pre-release firmware version is 14C82. In an attempt to get rid of outdated and suspicious applications, Apple removed over 47,000 apps from the App Store in October. 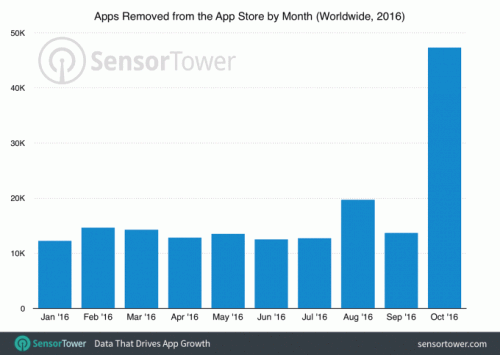 The data comes from an analytics firm Sensor Tower. It is Sunday today, which means we should take a look at the most interesting posts of the last couple of days. 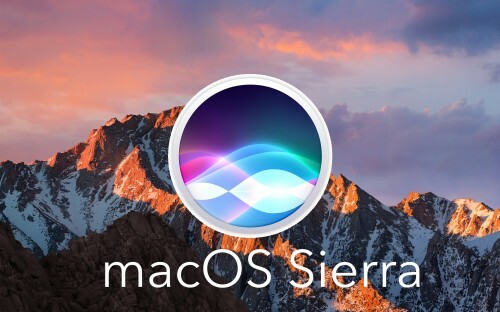 Most of the articles this week deal with Apple’s iOS 10 and macOS Sierra 10.12 as well as with the new AirPods and iPhones. Below you can find the list of the posts worth your attention. Apple has just released a new build of iOS 10.1.1 to users worldwide. The release is a bit of surprise, provided that crucial bugs were fixed with previous version of iOS 10.1.1 and there are no new features or visible enhancements in the latest update. Apple has released the second beta of macOS Sierra 10.12.2 to developers for testing. According to the company, the update contains a number of bug fixes and enhancements of security, stability, and performance. The build number of the latest update is 16C41b.